If you’re tired of the same back workouts not getting results, it’s time to shock your muscles and force them to grow! Muscle hypertrophy involves an increase in size of skeletal muscle through an increase in the size of its component cells. Now, that’s a fairly non-helpful definition when it comes to increasing your muscle mass and size. What you need to know is that the goal is to contract your muscles against greater and greater resistance with the goal of forcing as much blood into the muscle cells as possible. The stretching of the muscle cells (AKA: the “pump”) produces micro trauma and tears. When recovery is properly optimized, the muscle cells repair and grow back bigger, fuller, and stronger. In a nutshell, 3 sets of 10-12 reps for a few exercises, won’t get you the back your dreaming of. When it comes to this incredibly complex and large muscle group, you need to increase the intensity and increase the resistance more than you are used to with standard back workouts. Also, you should split up your protein, carbs, and fat intake into even quantities for each meal. For maximizing your protein intake, you should be using a high-quality protein powder and NOT the crap you buy at Costco. All protein powder was not created equally. Next, creatine in the form of Kre-alkalyn is one of the most powerful supplements on the market. It’s PH balanced so there is no water bloat and delays muscle fatigue while you are working out. This helps you force out those last few reps in your sets. Finally, NO2 black is a powerful vasodilator that increases blood flow to the muscles. So not only do you look more vascular but you are literally forcing additional volumes of blood into the muscle cells. Blood carries oxygen and the nutrients needed to repair, recover, and function. I’ve linked all of these items below for easy, one-click shopping access. I cover all of these supplements in my eBook, in detail. 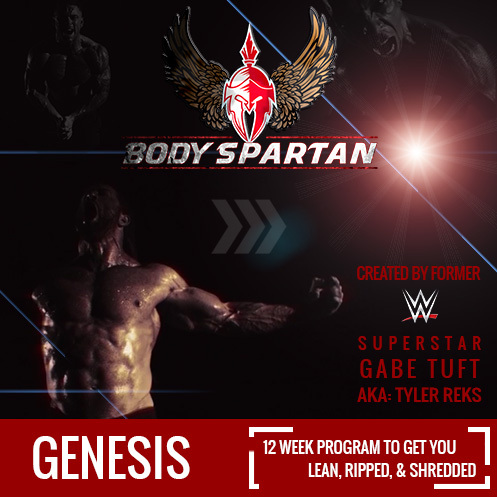 In addition, you get a full 12-week workout program that includes an easy to follow nutrition plan AND recipes. Bring a timer or use the timer on your iPhone or Android and time your sets. It’s crucial that you do not go over the specified rest times. Also, be sure to flex the muscles you are working in between your sets. This keeps the blood in the muscle cells. Also note that the weights specified here are for reference only. Use appropriate weights for your level of expertise and strength. I want to know what you think and how you did with this back workout. If you survived this back workout, leave a comment and let me know! Also, as you probably know by now, I’m a huge advocate of constantly mixing up your back workouts – actually, all your workouts. If you want your muscles to grow, you have to continuously shock them. That being said, we’ve got several different back workouts on the site to help you shock your muscles. The Body Spartan back workout for mass is one that will leave you wrecked, without question. We also have had excellent results with our giant sets back workouts. Hey man at our gym we don’t have hammer strength for back any other exercises I can replace it with? Hey guys, love every routine you come up with. Im a huge fan of supersets. I tried this back routine to create muscle confusion. I felt a tremendous pump, i could feel the blood pouring into my lats and rhomboids, and there was a killer stimulation. Keep it up guys, ill keep trying anything you put out because it really works! Awesome to hear! thank you for your support brother! we really appreciate it! BEASTMODE!